This September, the third annual "5 Day Thru Hike" offers the opportunity to hike and camp over 35 miles through East Bay parks. Organized by the Bay Area Ridge Trail, the event will guide hikers through a series of parks, starting in Fernandez Ranch in Martinez and ending at Lake Chabot. 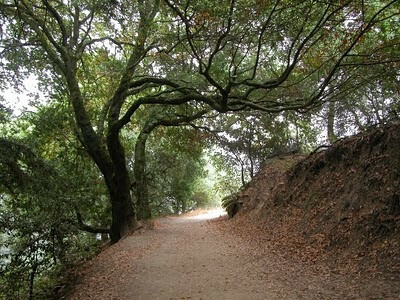 In between they'll hike through Sobrante Ridge, Kennedy Grove, Wildcat, Sibley, Huckleberry, and Redwood. Campsites (you provide your tent and sleeping bag), gear shuttling, and meals are included in the $50 a day fee (with a discount if you sign up for all 5 days). This is a bargain for the rare chance to camp at Joaquin Miller and Tilden parks while having someone cook your food, carry your stuff, set-up and take down camp, all for a good cause. Read more here. This is outstanding! I'm not sure I'll be able to do it, but it sounds great. A local version of the Alpine Huts in Yosemite. Thats great, but why does it have to be $50 bucks a day? Maybe Ill just bring my own food, and tag along for free.